Notice his majestic youth and blooming vigor, patience, compassion, piety, modesty, and devoutness. Notice his fearlessness, generosity, purity, chastity, honesty, and trustworthiness. Notice his magnificent nature, virtue, and greatness. Do not let the fact that all these excelling traits were found in one man astonish you, for you are looking at a man who resembled Rasulullah SAW in his looks and conduct. 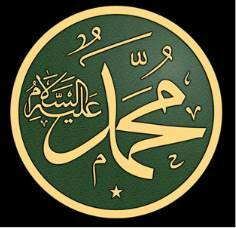 Rasulullah SAW gave him the epithet "Father of the Poor" and the agnomen "The Two Winged". You are about to meet the twittering heavenly sparrow, Saidina Ja'far Ibn Abi Talib RA, one of the great Muslims who contributed much to shaping the conscience of life. He embraced Islam and was raised to a high station among the early believers. On the same day, his wife, Saidatina Asmaa' Bint 'Umais RA, submitted herself to Islam. They had their share of abuse and oppression, which they withstood with courage and joy. When Rasulullah SAW advised his Companions to emigrate to Abyssinia, Saidina Ja'far bin Abi Talib RA and his wife were among those who acted upon his advice. There, they settled for a number of years, during which they had three children: Muhammad, 'Abd Allah and 'Awf. 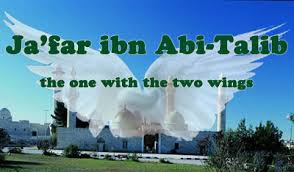 In Abyssinia, Saidina Ja'far Ibn Abi Talib RA was the eloquent Companion who won through in the way of Allah and His Rasul, for among Allah's graces bestowed on him were his noble heart, alert mind, sagacious spirit, and fluent speech. The Battle of Mu'tah, in which he was martyred, was his most magnificent, glorious and immortal feat. Yet the Day of Al-Mujaawarah, which he executed before An-Najaashii in Abyssinia, was not less in magnificence, glory and grace. In fact, it was a singular battle of words and an impressive scene. Now, the Muslim emigration to Abyssinia did not set the fears of the Quraish to rest nor lessen their grudges and spite against the Muslims. On the contrary, the Quraish were afraid lest the Muslims should gain momentum there and increase in number and power. 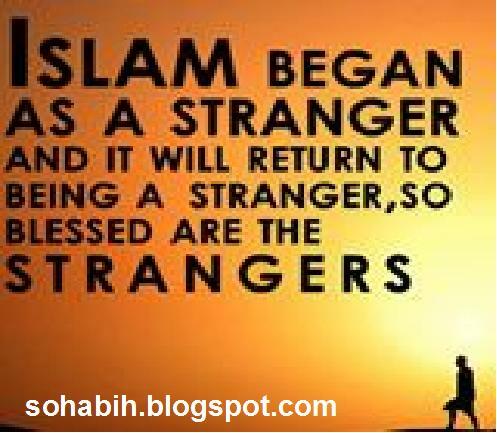 If that did not happen, the Quraish's haughtiness and arrogance could not accept the fact that those fugitives had fled their tyranny and ruthlessness and had settled in another country which Rasulullah SAW, saw as a promising land for Islam. Therefore, the Quraish leaders decided to send delegates to An-Najaashi with expensive gifts and the hope that he would expel those fugitives from his country. 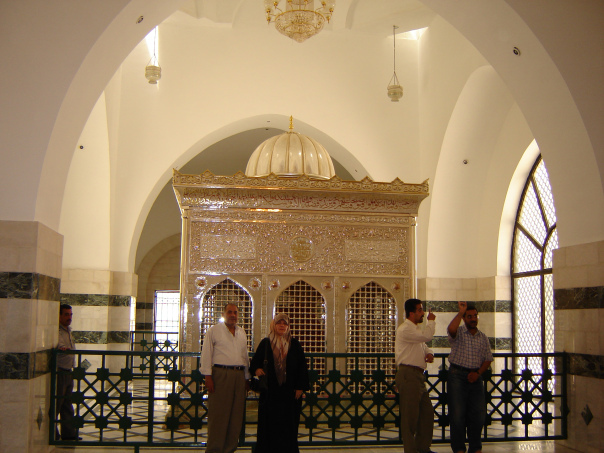 The two chosen delegates were "Abd Allah Ibn Abi RabiTah and 'Amr Ibn Al-Aaa before they had embraced Islam. An-Najaashii, or Negus, the emperor of Abyssinia, was an enlightened believer. Deep inside he embraced a rational and pure Christianity, void of deviation, fanaticism, and narrow-mindedness. He was renowned and highly admired for his justice. Hence, Rasulullah SAW chose his country for his Companions' immigration. Now, the Quraish were afraid lest they should not be able to convince him of their viewpoint. Therefore, their two delegates carried many expensive gifts for the bishops and archbishops of the church and were advised not to meet An-Najaashii until they had given those presents to the bishops and convinced them of their viewpoint so that they would support them before An-Najaashii. They said, "Your Majesty, you well know that a group of fools have turned renegades and have taken asylum in your country. They did not embrace your religion, but rather invented their own religion that neither of us knows. We are people of high rank who are related to their fathers, uncles, and tribes, so that you would surrender those wretched renegades to us." An-Najaashii addressed the Muslims saying, "What is that religion that made you abandon your people's religion and refuse to embrace our religion? "Saidina Ja'afar ibn Abi Talib RA stood to perform the task for which he had been chosen by mutual consultation immediately before this meeting. Saidina Ja'far ibn Abi Talib RA stood up slowly and gracefully, looked with appreciation at the hospitable king and said, "0 your Majesty, we used to be a people of ignorance. We worshipped idols, ate dead animals, committed great sin, severed family relations, and acted according to the law of the jungle. We used to believe that survival was only for the fittest until Allah sent from among us a Rasul who was known for his noble descent, honesty, trustworthiness, and chastity. He invited us to worship Allah SWT alone and abstain from worshipping stones and idols. He ordered us to speak nothing but the truth and to render back our trusts to those whom they are due. Moreover, he ordered us to keep our ties of kinship intact, be good to our neighbors, and abstain from what is forbidden. He also ordered us not to commit evil, nor to say false statements, nor to eat up the property of orphans, nor to accuse chaste women of wrong-doing without proof or witness. Hence, we believed in him and in Allah's message to him. We worshipped Allah alone. We rejected that which we used to associate with Him as His partners. We allowed as lawful what is halal and prohibited as unlawful what is haram. Consequently, we were harassed and abused by our people, who tried to turn us away from what Allah had sent down to Rasulullah, so that we may return to idol worshiping and the evil and unlawful deeds we used to do. We were oppressed, abused and straitened in a way that prevented us from the proper worship of Allah. They even tried to force us to turn apostate. Therefore, we fled to your country and asked for asylum to escape oppression and tyranny." When Saidina Ja'far ibn Abi Talib RA finished his glorious words which were as clear as daylight, An-Najaashii was gripped by compassion and grace. He addressed Ja'far saying, "Do you have a scroll on which you have written the words of your Prophet?" 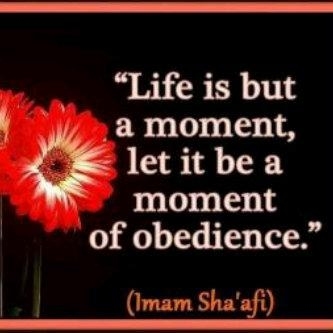 Saidina Ja'far ibn Abi Talib RA replied, "Yes." An-Najaashii ordered, "Read it aloud." Saidina Ja'far ibn Abi Talib RA recited a number of verses from Surat Maryam in such a slow, sweet, subdued, and captivating voice that it made An-Najaashii and all his bishops cry. When he wiped his tears he swiftly said to the Quraish delegates, "These words, of what had descended on 'Isa (Jesus), come from the very same source as that of 'Isa. You are free men in a free land. By Allah, I will never surrender you to them." The meeting was over. Allah had helped the Muslims and made their feet firm; whereas the Quraish delegates were bitterly defeated. Yet 'Amr Ibn Al-'Aas was a resourceful, crafty man who could neither accept defeat nor despair easily. Therefore, no sooner had he returned to their residence than he sat turning the matter over in his mind. Then he addressed his comrade saying, "By Allah, I will go to An-Najaashii tomorrow and I will pluck the Muslims out from this land once and for all." His comrade replied, "You must not do that, for despite their disobedience, they are still related to us." 'Amr said, "By Allah, I will tell An-Nayaashii that they claim that ''Isa Ibn Maryam is a slave like the rest of Allah's slaves." Thus the web was spun by the shrewd delegate so as to lead the Muslims unawares right into the trap. The Muslims were put in a tight comer, for if they said that 'Isa was Allah's slave, they would incite the king and bishops against them, and if they denied the fact that he was human, then they would turn from their religion. On the following day, 'Amr hastened to meet the king and said, "Your Majesty, those Muslims utter an awful saying against 'Isa." At once, the bishops were agitated by this short but fatal sentence. They asked the Muslims once again to meet the king so as to clarify their religious standpoint concerning 'Isa. When the Muslims found out about the new plot, they discussed the possibilities, and then agreed to say nothing but the truth as said by Rasulullah SAW, regardless of the consequences. Once again, the audience was held and An-Najaashii started it by asking Saidina Ja'far ibn Abi Talib RA, "What does your religion say about 'Isa?" Saidina Ja'far ibn Abi Talib RA, stood once again like a gleaming lighthouse and said, "We say what has descended on our Rasulullah: he is Allah's slave, Messenger, His word which He bestowed, and a spirit created by Him." An-Najaashii cried out in assent and said that the same words had been said by ''Isa to describe himself, but the lines of bishops roared in disapproval. Nevertheless, the enlightened, believing An-Najaashii declared, "You are free to go now. My land is your sanctuary. Anyone who dares to abuse or mistreat you in any way will be severely punished." He addressed his retinue and pointed towards the Quraish delegation declaring, "Give them back their presents, for I do not want them. By Allah, Allah did not take a bribe from me when He restored my kingdom; therefore, I will not be bribed against Him!" The Muslims headed by Saidina Ja'far Ibn Abi Talib RA went on with their secure life in Abyssinia. 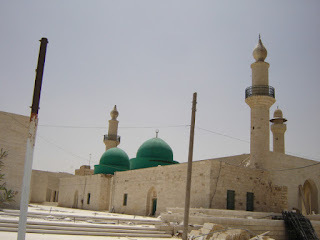 They settled in the "most hospitable land of the most hospitable people" until Allah gave them permission to return to their Rasululullah, who was celebrating with the Muslims the conquest of Khaibar when Saidina Ja'afar ibn Abi Talib RA and the rest of the emigrants to Abyssinia arrived. Rasulullah SAW heart was filled with joy, happiness, and optimism. Rasulullah SAW hugged him and said, "I do not know which makes me feel happier, Khaibar's conquest or Ja'far's arrival." Rasulullah SAW and his Companions traveled to Makkah to perform the 'Umrah to make up for the missed 'Umrah. Then they returned to Al-Madinah. Saidina Ja'far Ibn Abi Talib RA was overjoyed with the news he heard concerning the heroism and valor of his believing brothers who had fought side by side with Rasulullah SAW in the Battles of Badr, Uhud and others. His eyes filled with tears over the Companions who had been true to their covenant with Allah and had fulfilled their obligations as obedient martyrs. Saidina Ja'far Ibn Abi Talib RA craved Paradise more than anything in the world. He waited impatiently the glorious moment in which he would win martyrdom. The Battle of Mu'tah, as we have already mentioned, was imminent. Saidina Ja'far Ibn Abi Talib RA realized that this battle was his lifetime chance to either achieve a glorious victory for Allah's religion or win martyrdom in the way of Allah. Therefore, he pleaded with Rasulullah SAW to let him fight in this battle. Saidina Ja'far Ibn Abi Talib RA knew beyond doubt that this battle was neither a picnic nor a limited war, but rather an unprecedented crucial war, for it was against the armies of a vast and powerful empire that excelled the Arabs and Muslims in numbers, equipment, expertise, and finance. He yearned to have a role in it. Thus, he was the second of the three commanders. The two armies met in combat on a distressful day. Saidina Ja'far Ibn Abi Talib RA would have been excused if he had been gripped by terror when he saw the 200,000 warriors. Instead, he was gripped by overflowing exaltation, for he felt urged by the pride of the noble believer and the self-confidence of the hero to fight with his equals. Again, hardly had the standard touched the sand as it slipped from Zaid Ibn Haarithah's RA right hand, when Saidina Ja'far Ibn Abi Talib RA darted and picked it up and broke through the line of the enemy with incredible fearlessness. It was the fearlessness of a man who was not so much craving victory as martyrdom. When the Roman warriors closed in upon him in an encircling move, his horse restricted his movement, so he dismounted and thrust his sword into his enemies. Then he saw one of them approaching his horse so as to mount it. He did not want this impure disbeliever on his horse's back, so he thrust his sword into it and killed it. Instantly, they struck with their swords and cut off his right hand. Swiftly he caught the standard with his left hand before it reached the ground. When they struck off his left hand, he caught the standard with his upperarms. At the moment, the only thing that really mattered to him was not to let the standard of Rasulullah SAW touch the ground as long as he was alive. Although his pure body was struck down, his upperarm still hugged the standard. The sounds of its fluttering seemed to have summoned 'Abd Allah Ibn Rawaahah, who darted swiftly and gripped it then galloped towards his great destiny! Thus, Saidina Ja'far Ibn Abi Talib RA died an honorable death. He met Allah, the Most Great, the Most High, enveloped in self-sacrifice and heroism. 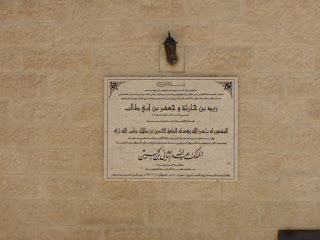 At the end, all the poor wept bitterly over the loss of their father, for Saidina Ja'afar Ibn Abi Talib RA was the "father of the poor". 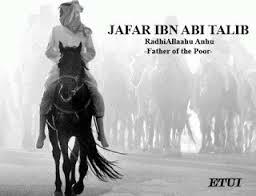 Abu Hurairah RA said, "The most generous man towards the poor was Saidina Ja'afar Ibn Abi Talib RA." Indeed, when he was about to die, he wanted to be the most generous, self-denying and devoted martyr. 'Abd Allah Ibn 'Umar said, "I was with Ja'far in the Battle of Mu'tah and we looked around for him. We found that the enemy had sprayed his body with more than ninety stabs and strikes!" But those killers did not scratch his invulnerable spirit. No, their swords and spears were the bridge which this glorious martyr crossed to be near Allah, the Most Merciful, the Most High. He was raised to a high station in heaven. His worn-out body was covered all over with the medals of war, namely, the wounds. Now, let us hear what Rasulullah SAW said about him: "I have seen him in Paradise. His head and wings - upper arms - were covered with blood!" In spite of his noble standing among the Quraish, Abu Talib, an uncle of the Prophet, was quite poor. He had a large family and did not have enough means to support them adequately. His poverty-stricken situation became much worse when a severe drought hit the Arabian Peninsula. The drought destroyed vegetation and livestock and, it is said, people were driven to eat bones in the struggle for survival. It was during this time of drought, before his call to prophet hood, that Rasulullah SAW said to his uncle, al Abbas: "Your brother, Abu Talib, has a large family. People as you see have been afflicted by this severe drought and are facing starvation. Let us go to Abu Talib and take over responsibility for some of his family. It will take one of his sons and you can take another and we will look after them." "What you suggest is certainly righteous and commendable," replied al-Abbas, and together they went to Abu Talib and said to him: "We want to ease some of the burden of your family until such time as this distressing period has gone." Abu Talib agreed. "If you allow me to keep Aqeel (one of his sons older than Ali), then you may do whatever you like," he said. It was in this way that Rasulullah SAW took Saidina Ali RA into his household and al-Abbas took Saidina Jafar into his. Saidina Jafar had a very close resemblance to Rasulullah SAW. 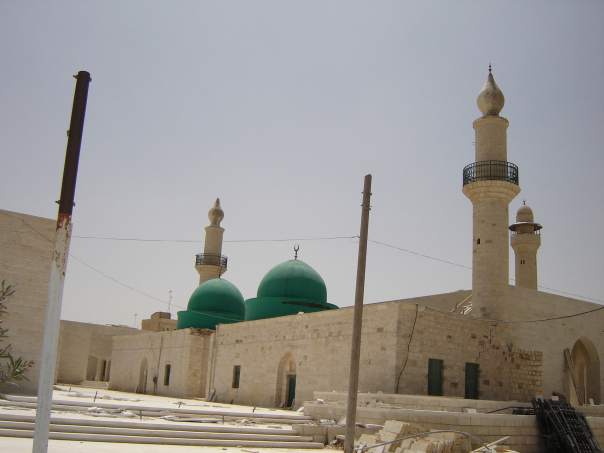 It is said there were five men from the Hashim clan who resembled Rasulullah SAW so much, they were often mistaken for him. They were: Abu Sufyan ibn al-Harith RA and Qutham ibn al-Abbas RA both of whom were cousins of his. As-Saib ibn Ubayd, the grandfather of Imam ash Shafi: al-Hasan ibn Ali, the grandson of Rasulullah SAW, who resembled him most of all; and Saidina Jafar ibn Abi Talib RA. The Quraish made life intolerable for them both and for their brethren in faith. They tried to obstruct them from observing or performing the duties and rites of Islam. They prevented them from tasting the full sweetness of worship undisturbed. The Quraish waylaid them at every turn and severely restricted their freedom of movement. Saidina Jafar Ibn Abi Talib RA eventually went to Rasulullah SAW, and sought permission for himself and a small group of the Sahabah, including his wife, to make hijrah to the land of Abyssinia. With great sadness, Rasulullah SAW gave his permission. It pained him that these pure and righteous souls should be forced to leave their homes and the familiar and cherished scenes and memories of their childhood and youth, not for any crime but only because they said, "Our Lord is One. 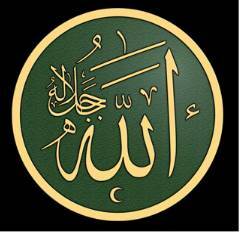 Allah is our Lord." When the Quraish learnt of the departure of the small group of Muslims and the peaceful life they enjoyed under the protection of the Negus, they made plans to secure their extradition and their return to the great prison that was Makkah. They sent two of their most formidable men, Amr ibn al-Aas and Abdullah ibn Abi Rabiah, to accomplish this task and loaded them with valuable and much sought after presents for the Negus and his bishops. In Abyssinia, the two Quraish emissaries first presented their girls to the bishops and to each of them they said: "There are some wicked young people moving about freely in the King's land. They have attacked the religion of their forefathers and caused disunity among their people. When we speak to the King about them, advise him to surrender them to us without his asking them about their religion. The respected leaders of their own people are more aware of them and know better what they believe." The bishops agreed. 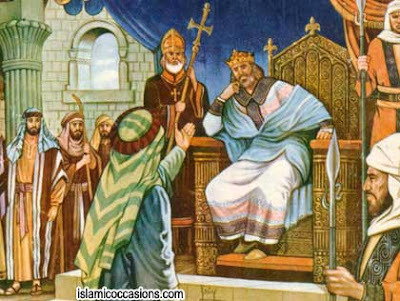 Amr and Abdullah then went to the Negus himself and presented him with gifts which he greatly admired. They said to him: "O King, there is a group of evil persons from among our youth who have escaped to your kingdom. They practice a religion which neither we nor you know. They have forsaken our religion and have not entered into your religion. The respected leaders of their people - from among their own parents and uncles and from their own clans - have sent us to you to request you to return them. They know best what trouble they have caused." The Negus looked towards his bishops who said: "They speak the truth, O King. Their own people know them better and are better acquainted with what they have done. Send them back so that they themselves might judge them." The Negus was quite angry with this suggestion and said: "No. By God, I won't surrender them to anyone until I myself call them and question them about what they have been accused. If what these two men have said is true, then I will hand them over to you. If however it is not so, then I shall protect them so long as they desire to remain under my protection." The Negus then summoned the Muslims to meet him. Before going, they consulted with one another as a group and agreed that Saidina Jafar ibn Abi Talib RA and no one else should speak on their behalf. In the court of the Negus, the bishops, dressed in green surplices and impressive headgear, were seated on his right and on his left. The Quraishite emissaries were also seated when the Muslims entered and took their seats. The Negus turned to them and asked: "What is this religion which you have introduced for yourself and which has served to cut you off from the religion of your people? You also did not enter my religion nor the religion of any other community." Saidina Jafar ibn Abi Talib RA then advanced and made a speech that was moving and eloquent and which is still one of the most compelling descriptions of Islam. the appeal of the noble Prophet and the condition of Makkan society at the time. He said: "O King, we were a people in a state of ignorance and immorality, worshipping idols and eating the flesh of dead animals, committing all sorts of abomination and shameful deeds. Breaking the ties of kinship, treating guests badly and the strong among us exploited the weak. "We remained in this state until Allah sent us a Rasul, one of our own people whose lineage, truthfulness, trustworthiness and integrity were well-known to us. "He called us to worship Allah alone and to renounce the stones and the idols which we and our ancestors used to worship besides Allah. "He commanded us to speak the truth, to honor our promises, to be kind to our relations, to be helpful to our neighbors, to cease all forbidden acts, to abstain from bloodshed to avoid obscenities and false witness, not to appropriate an orphan's property nor slander chaste women. "He ordered us to worship Allah alone and not to associate anything with him, to uphold Solat, to give Zakat and fast in the month of Ramadan. "We believed in him and what he brought to us from Allah and we follow him in what he has asked us to do and we keep away from what he forbade us from doing. 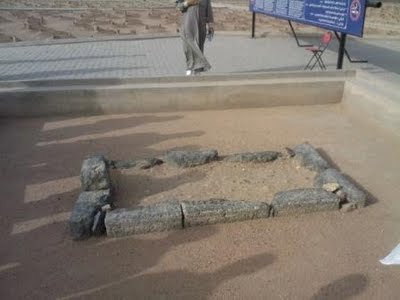 The Grave of The Father of The Poor - Jannatul Baqi - Madinah Al Munawarrah.